This map will help those following episode 11 to 14, you can click on it to enlarge it. 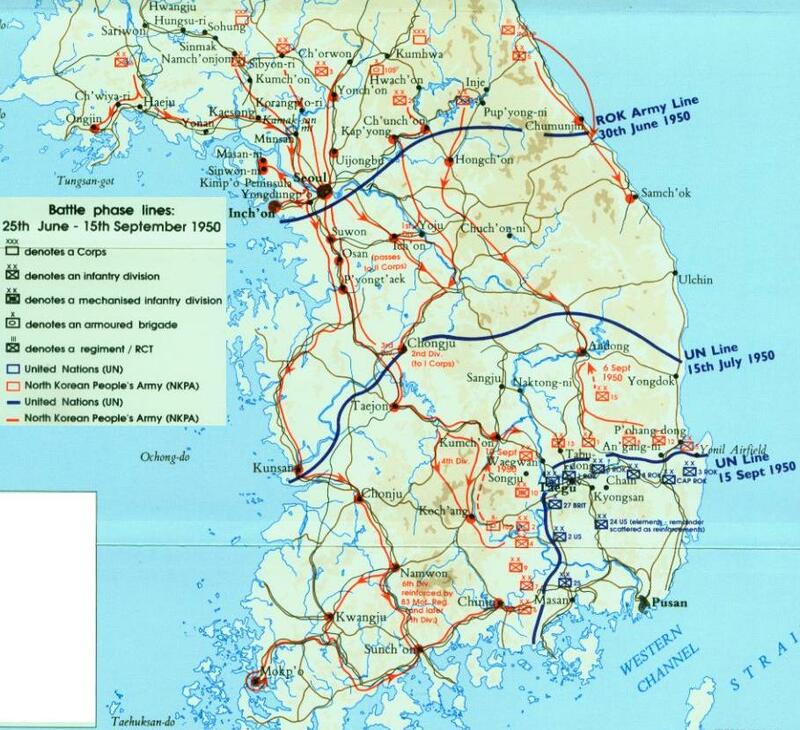 The map shows the position on July 15th, episode 11 and 12 start a few days earlier so the towns mentioned are to the north of the front line shown. The map shows the front line at the start of episode 13. Taejon heavily mentioned in episode 14 is clearly listed.